When it comes to general health, oral health often seems to take a back seat. However, visiting the dentist on a regular basis can prevent a range of dental and oral health problems as well as other health conditions that can result from poor oral health. It is therefore important to visit your dentist on a regular basis. How Often Should You Get A Dental Checkup? In general, it is recommended to see the dentist at least once a year. However, this can vary depending on a number of different factors such as your age, whether you have any existing dental health conditions and your general health. The first visit to a dentist should be at about one year. This is around six months after the first tooth has appeared. The first dental visit is made to make sure there are no problems and to provide the first fluoride treatment. Good oral hygiene practices will be discussed as well as any issues with teething, thumb sucking or deterioration due to bottle feeding. At this age, it is recommended to visit a pediatric dentist who specialises in diagnosing and treating dental conditions in infants, babies and children or issues that relate specifically to children. The dentist will schedule regular appointments depending on the dental health of the child. If there are issues or concerns, the child will likely need to visit the dentist more often. Should there be any dental issues or oral health concerns, your dentist may schedule regular appointments to continually assess the condition. This may mean a visit for a checkup every few weeks or months rather than the generally accepted period of one year. If a dentist has not scheduled any regular appointment for a child, then it is recommended to visit every six months for a checkup. This will help prevent decay and other oral health problems from occurring. Keep in mind that cavities and conditions like gum disease affecting the baby teeth may affect the adult teeth in the future. Six monthly visits should continue until all the adult teeth have fully grown out between the ages of twelve and thirteen years. It is also recommended for individuals over the age of 40 years to begin visiting the dentist more frequently. This is when teeth can begin to present with some major problems due to general wear and tear, poor oral hygiene and other age related factors. Once again, this is dependent on current oral health and your dentist will inform you whether a visit every six months for a checkup is necessary. One year is the recommended period between visits to the dentist for a checkup. Most adults only see the dentist when they are in pain, have broken a tooth or some other dental issue has arisen like bad breath. 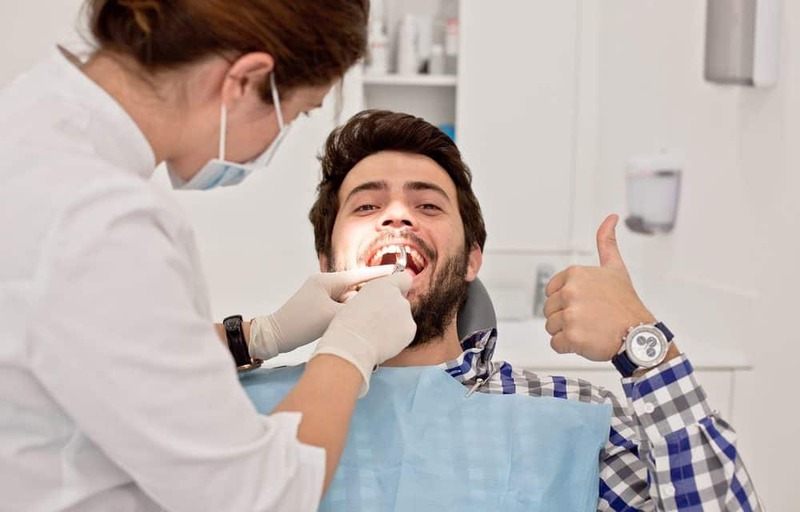 These checkups are designed to diagnose any existing problems, detect any issues that might arise in the future and to provide preventative care and other measures to avoid tooth decay, bad breath and other dental conditions. You should schedule your next dental checkup before leaving the dentists office for your current appointment. The dental receptionist should contact you within a few days of the appointment to remind you that you have a dental visit. Even if you think that your teeth are fine, it is recommended to keep the appointment or postpone by a few days if you are unable to be there. Statistically, the average person visits the dentist for a checkup every two and a half years. There is also a misconception that this is the recommended period between dental visits. It is, however not advisable to go to the dentist every two years even if you have optimal dental and oral health. There are many dental issues that can arise in a two year period that could have been easily preventable if you had seen the dentist earlier for a checkup. In general, unscheduled visits should only occur when something unforeseen has happened like a tooth cracking or an injury to the mouth. Regular visits to the dentist should prevent most dental health issues from arising suddenly and unexpectedly. However, if you do notice pain, discomfort, bad breath, dry mouth, bleeding gums or any other oral health issues, make an appointment to see the dentist as soon as possible. The sooner the condition is treated, the less likely it is that you will require serious dental work or procedures. If you have made an unscheduled visit to the dentist, remember to make an appointment for a checkup one year from your last visit that was scheduled by the dentist. It is best to get into the habit of scheduling your annual dental checkups before leaving the dentist’s office. If you have any questions about your dental health or you are due for a check up, please get in touch with us here at Simply Dental Chatswood.